ACG’s advanced fraud detection modeling tools assist our clients in reducing the instances of fraudulent transactions. Historical data associated with warranty claims, expense reports, insurance claims, contract payments, etc., are mined to determine past patterns or behaviors associated with abuse or actual cases of fraud. These patterns and associations in the data are used to develop models to identify anomalies in future transactional activity. These suspected items are then subject to more in-depth analysis to determine actual fraud and abuse. 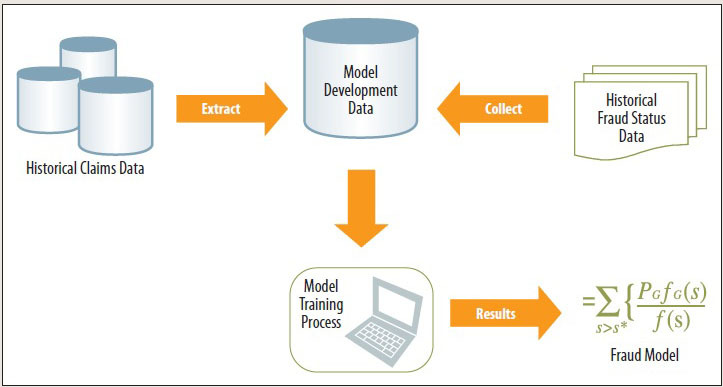 Our models “learn” from the data in contrast to the more traditional rule-based detection. The benefit lies in the fact that our models taken into account all factors and significant relationships in the data even as the data changes. The models even enable the user to identify possible fraudulent transactions as they are happening by deploying them in real time systems. Our detection tools combine powerful analytical techniques with firsthand business knowledge to turn data into insights needed to identify probable instances of fraud and abuse. With the large volume of data, no one auditor or claims adjustor can possibly see all unusual behavior or events but our models can. Using our models, a company’s staff and resources will become more efficient and effective in the prevention and recovery of the substantial amount of money lost to fraudulent activity. There are a number of transaction types that have the potential to be fraudulent and cost companies in a wide range of industries many millions of dollars. The analyses we have performed have enabled our clients to recover many of the dollars lost to these types of transactions and to put procedures in place to reduce the instances of fraud. As a result of client work, we have developed metrics and modeling tools to detect fraudulent transactions associated in a number of business functions (sample list is shown below). Because of our prior work, we are able to provide results faster because much of the complexity of developing metrics, analyses and models have already been accomplished. As a result, these pre-built models serve as a starting point for most new client work. •	Build out a repeatable process to easily operate on its own. What normally might take months to complete, will take only weeks, in most cases, with our process. The savings over other organizations is often substantial. Once a solution is determined, ACG can also assist in implementation. Reporting on the progress in reducing the number of fraudulent transactions is also part our recommended solution.